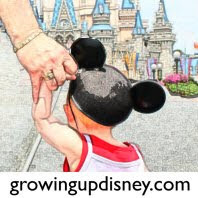 Growing Up Disney: Double Strollers, Please help! I am expecting Baby E2 in a couple of months. I'm looking ahead at double strollers and could really use some advice before I plunk down big bucks for one (or two) of these rigs. Currently I have a Bob Revolution Single and it worked great for carrying the infant seat and I love it for walks/jogging with Tink. Yes, it's big but it turns on a dime so I've never had problems with it. I wanted a second stroller for travel (aka Walt Disney World) and bought a Maclaren Volo. I love the Volo too. It is lightweight, easily maneuverable, well-built, and has a high weight limit for an umbrella stroller. (I watched sales and got smokin' good deals on both strollers.) As much as I love my Bob, I don't know how it could be your only stroller. There are places where it's just too big such as trips to the doctor's office and we do that often since the baby will be here soon. Tink will still sit well in a stroller, so I think a sit and stand is out. Why encourage her to run around if I don't have to? Something like the Maclaren Twin Triumph would be nice for errands and much lighter-weight for travel. However, it's not suitable for infants under 6 months old and will not hold an infant car seat. They have better suspension than most umbrellas but even a walk on a suburban sidewalk is jarring compared to Bob. I carried Tink around quite often in a sling when she was very small and I plan on doing the same with her little sister. So to begin with, I'll wear the baby and Tink can use one of her current strollers or walk. I know the time will come when I will need to corral them both. I'd like to hold on to my current strollers because I know we'll get back to needing only a single. And speaking of that, some people use stroller connectors at Walt Disney World. This means they take two single umbrella strollers and link them with the connectors. This works best with two of the same stroller. While it doesn't work as well as a dedicated double, it does give you the option of splitting up. Maybe you could take one stroller and the older child, while Granny takes a break with the sleeping little one. Ugh, so many options! I just want to make the best investment I can, getting the most use and the least hassle for my money. What have you done, good or bad? I'd love to hear your tips both for the real world, Walt Disney World and other travel. Many thanks! My daughter has 23 month twins. She has tried a number of strollers. Hate to say it, but there is no 'one' stroller that will do it all! We just bought her 4th double stroller yesterday (for an excursion to the parks & hopefully for use in some 5Ks). She also has three single strollers. Her stroller experiences could be a blog itself. I will sit down with her and come up with some suggestions for you. How old is your Tink? Thanks! Tink will be two next month. The girls will be about 25 months apart. My friend with twins was a big fan of the Combi double. When she passed it on to another friend (also with twins) that I helped last summer I can vouch that it rocks. Let's start talking a weekend as Baby arrival is closing in. Can you look and message me about April weekends. Thanks Heather! That one looks cool. I like that it will also hold an infant car seat (except it only works with Combi.) The seats also hold up to 45 lbs each which is good for WDW, when you need a stroller later than the rest of the world. I'll get with you on dates this week. We have some moving stuff going on in the next couple of weeks. It's crazy. I'll explain later. We have the Maclaren Twin Triumph and LOVE it! It is compact, folds up easily, and my kids (3 yrs and 2 yrs) never complain about riding in it, which is a big plus, lol. It works really well at the parks and in "real life", but I wouldn't recommend it for running/jogging. Good luck in your search! We have an Evenflo double. I'm not sure what the model is... Anyway, we have used it twice at Disney. The first time my children were 4mo. and 31mo. Both seats recline, so I put my baby in the front seat with it reclined, and my older child in the back. That worked great. (I also had a front carrier for the baby if he wanted to sleep, but my older child was already asleep in the back. It worked great. It is sometimes a struggle to get it into small places or up steep ramps, but over all I'm glad I had it. I definitely recommend taking a double of any kind if you have small children who wont want to walk all day. I should have added that mine is a tandem. I can't imagine 2.. Noah at 15 months is already pretty much over the stroller! My guess would be to wear as long as possible - get a good wrap or carrier (ergo/beco), but goodluck!! Love to know what you choose. Hope your pregnancyis going well! I love this stroller because it's lightweight and with 3 kids, I need to conserve my energy! I have the Combi side by side double and I really like it. My kids are almost exactly 4 years apart, so we primarily used it for Disney trips when the big kid needed to use the stroller. I like that each side can hold 55 pounds, plus it folds easily and compactly and has been very sturdy. I should also note that despite having the double stroller, I mainly carried my younger daughter in a Moby wrap the first time we took her to Disney (she was about 7 months old at the time). If you don't have a wrap carrier, they're terrific! Both my single strollers were Maclarens, and I absolutely love my Triumph, although it is not suitable for infants. I bought the Combi double on the recommendation of the guy at my local baby equipment store (they've been around forever and he sold me my first Maclaren before my now 7 year old was born) because he said he likes the Combi double better than the Maclaren, although I can't remember why at the moment. Thanks everyone! Between here, Twitter and Facebook, I have gotten some great ideas! I'll let you know what we decide.